The Bentayga has been a serious pain in the rear for Land Rover, so it’s going to put a stop to Bentley with something better. Peep the family tree for the modern luxury SUV and you’ll quickly see that it was the British who pioneered the genre. Or more specifically, it was Land Rover that built the first Range Rover and quickly saw it snatched up by well-heeled buyers looking for plushier alternatives to rugged off-road vehicles. The landscape is much different nowadays. Automakers from each corner of the auto market—from Kia to Bentley— offer luxury SUVs, and that’s putting a dent in Land Rover’s bottom line. According to Automotive News Europe, Land Rover won’t take that assault sitting down. The automaker has the lower sections of the market covered with the Evoque and upcoming Velar, but Land Rover design chief Gerry McGovern emphasized that the company’s money-hungry parents could look to the other end of the spectrum and answer the Bentley Bentayga. 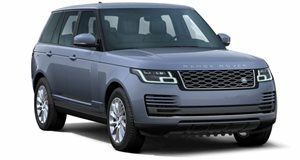 At current, the Land Rover Range Rover can be well spec’d, with the long wheelbase Land Rover Range Rover equipped with a supercharged 5.0-liter V8 starting as high as $199,950. That’s just shy of the Bentayga’s $230,000 starting price, which makes it sound like Land Rover doesn't have much room to grow. However, competitors like the Lamborghini Urus and Rolls Royce Cullinan are on the horizon, and Land Rover will need to scramble to keep up. “Why not?” said McGovern when asked for Land Rover's reasoning behind the SUV. “We've realized that the Range Rover has got this big expanse across its price range, so it's not a very big step to get into Bentayga country.” Fortunately for Range Rover, it won’t have to toil hard to find a platform it could use to build its ultra luxury SUV. It could just use a reworked Discovery chassis or rework the long wheelbase Range Rover to be more of a Bentayga competitor. A new interior and exterior is a must, but aside from that not many changes are needed. I would argue you could have two Range Rovers exactly the same size, but if they had two personalities then they would both have equal appeal but to different customers," McGovern said. Moreover, buyers are more likely to trust a luxurious Range Rover over a Bentayga due to the automaker’s experience building SUVs, which is a direct contrast to Bentley's status as a segment freshman. "Bentley doesn't have the pedigree and authenticity in that particular sector. We've got unquestionable pedigree," said McGovern. We'll take his words as evidence that Tata Motors knows what it needs to do to stay competitive against the incumbents. Suffice it to say, we’re excited for what’s to come.